What Channels are available, and what do they cost? What if I already subscribe to one of these services? What about Amazon, Netflix, and Hulu? Can I buy bundles of services? To get Channels, you’ll need to update your iPhone or iPad to iOS 12.3, or your Apple TV HD or Apple TV 4K to tvOS 12.3. The TV app is not yet available on macOS, but it’s coming later this year. Update to iOS 12.3 or tvOS 12.3, and you’ll see a list of Channels in the TV app. The TV app will also be available this year on Roku, FireTV, and smart TVs from several brands including Samsung, Sony, LG, and Vizio. This part is easy. In the TV app on your iOS device or Apple TV, just scroll down in the main Watch Now tab—a list of channels should be prominently displayed. 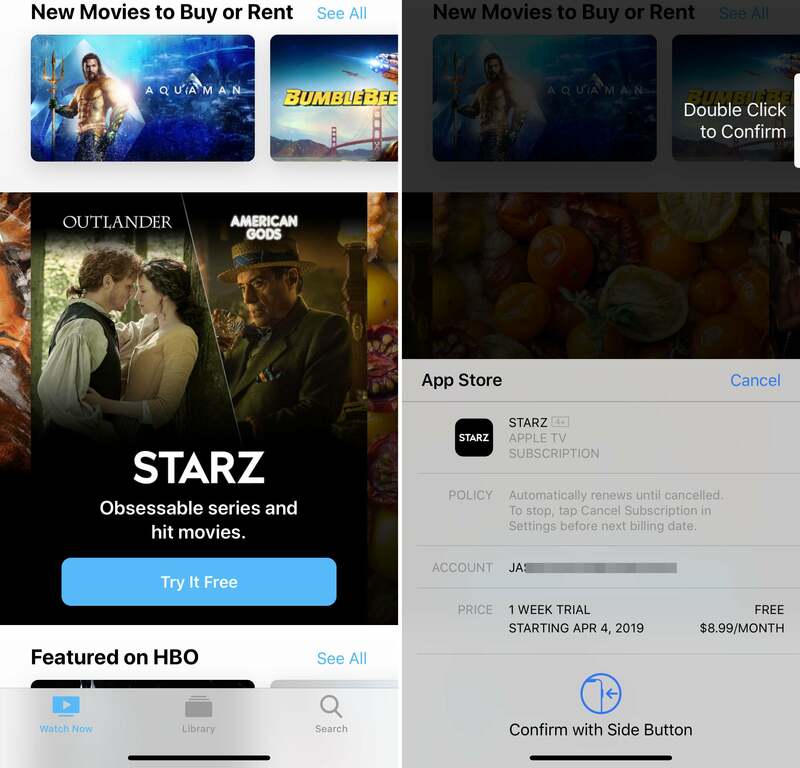 Most will have a button that says “Try it Free.” Selecting this brings up an in-app-purchase approval screen showing the length of the trial (usually one week) and the recurring subscription price after the trial is over. When you’re browsing a Channel’s content (see below), you’ll be presented with Try it Free buttons on shows and movies, too. Subscribing to Channels is fast and easy, and you don’t have to install any other apps. Once you’re subscribed to Channel, you’ll see shows and movies recommended directly in your Watch Now tab. As you scroll down in the Watch Now tab, you’ll also see a horizontal list of Channels represented as circular icons. Select one and you’ll see everything available on that Channel (whether you subscribe to it or not). You play back shows from Channels directly in the TV app, instead of being kicked out to the service’s own app. You can play content right here, directly, without having to install any other apps. 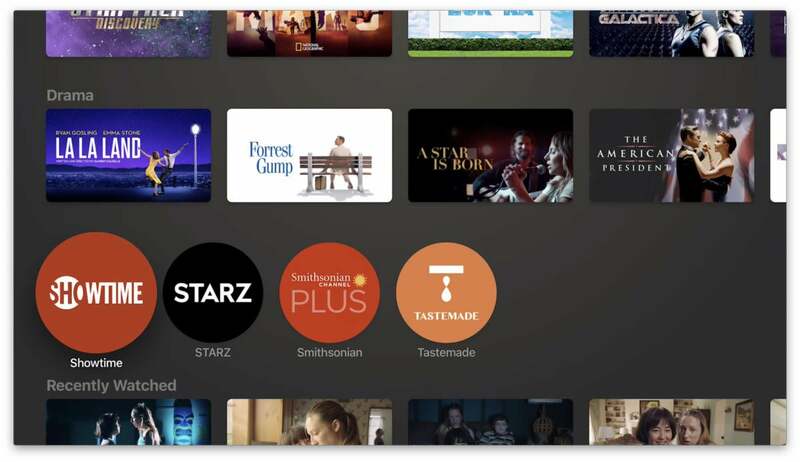 With the first beta release of iOS 12.3 and tvOS 12.3, there are only four Channels available: Showtime, Starz, Smithsonian Plus, and Tastemade. During its “Show time” event on March 25, Apple promised channels from a lot of other partners. Here’s the list of all the Channels we know of, along with their monthly subscription price (if we know it). While the new TV app will expand to over 100 countries, the list of available Channels may vary from one to the next, as will pricing. If you subscribe to any of these services, you won’t be able to use your current subscription as a Channel in the TV app. 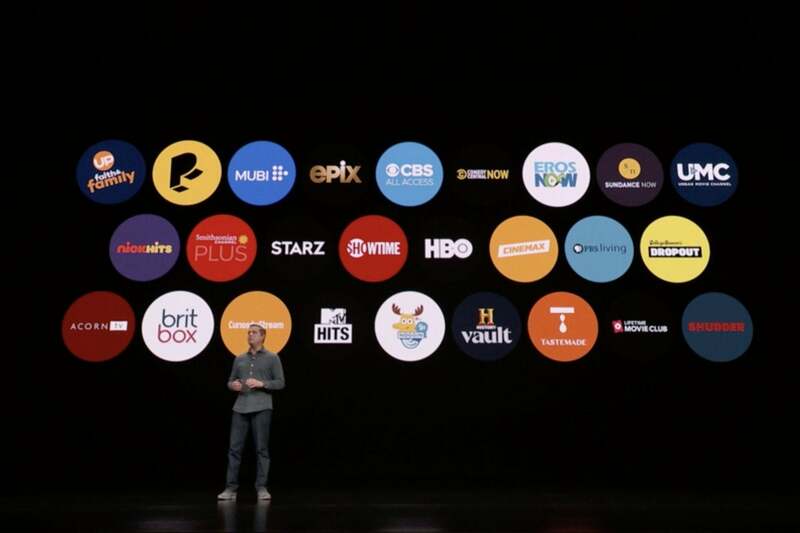 Most of them still do integrate with the TV app, so you’ll see content in the Watch Now tab, and your shows and movies will appear in Up Next. But you’ll have to have the appropriate app installed, and will be kicked over to it to play content. You’ll also be billed through the content provider, not Apple, and may not be able to make use of Family Sharing. To get playback directly within the TV app, Family Sharing, and billing from Apple, you’ll need to cancel your existing subscription and re-subscribe through the TV app’s Channels section. Netflix does not work together with Apple on the TV app at all. Its content does not appear in the TV app in any way—you just have to install the Netflix app and use that. Hulu is not a Channel—you can’t subscribe and watch directly within the TV app—but the service does support the TV app’s features. 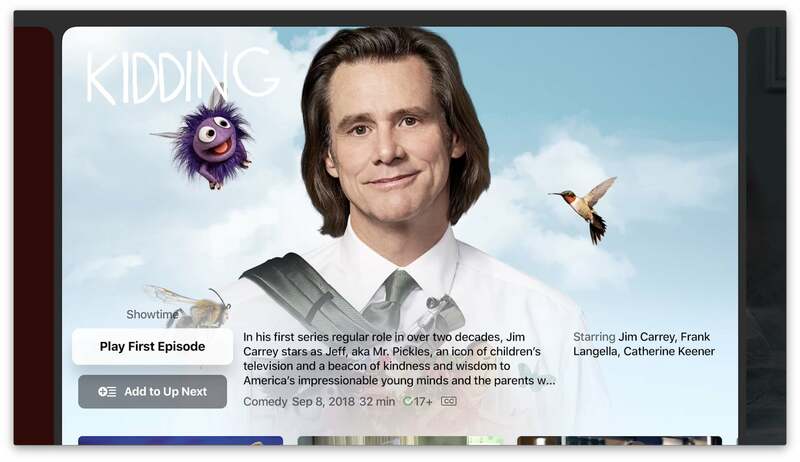 So Hulu content will appear in the TV app’s tabs and search, and its shows will populate the Up Next section. You’ll have to have the Hulu app installed in order to play shows or movies, though, and you have to subscribe through the Hulu app or site. Amazon Prime Video works just like Hulu does: It's not a Channel, if you install the app and have a subscription, all the content integrates within the TV app. So far, Apple hasn’t mentioned any Channels bundles. It would make sense to offer such a thing as the library of Channels grows, but for the time being, they are all à la carte.